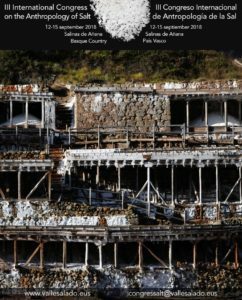 This ethno-archaeological project on salt — a primordial reference of humanity — is a worldwide first, both from a methodological perspective, and in terms of the area covered. Starting from an original Romanian study published in 1992, the project continues the research carried out since 2003 by a Franco-Romanian team with that conducted within the Idei CNCSIS Ethnosal (2007-2010) exploratory project This approach was put into practice in the Eastern Subcarpathian area of Romania, with impressive results. The extension of the researches to the whole extra-Carpathian area is justified by the exigencies specific to a saturated model. Unlike the previous project, the research takes into account — besides salt springs — the salt mountains/cliffs from this area; the correlations between their exploitations are thus systematically analyzed for the very first time in the world. The project has two main research directions: the identification of the salt springs and salt mountains/cliffs and the adjacent archaeological vestiges, and the ethnological investigation through spatial analysis. The resulting data, modelled and interpreted exhaustively, corroborated with the available ancient and medieval sources, will constitute a solid reference (by capitalising on a situation that is unique in Europe) for research in any area of the globe where there are archaeological traces of salt exploitation but where currently there are no non-industrial exploitation practices. The research will underline the universal invariants, without omitting the idiographic behaviours.